After an alert from the LOE staff, it would appear the servers and accounts were compromised. Until further notice, the service and the forums are down. Acquire below for further detail. First off, the message from the team. (This is an URGENT MESSAGE to all LoE account holders. 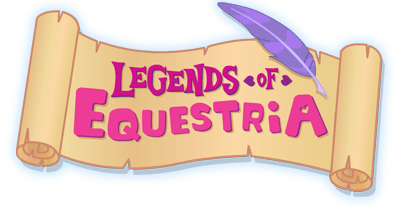 A short time ago, Legends of Equestria suffered a malicious cyberattack, and we believe that compromising account information has been accessed. We therefore strongly recommend that everyone who used the same password on our forum (and therefore for their game account) anywhere else to CHANGE THAT PASSWORD IMMEDIATELY. This is a safety precaution; we do not store passwords themselves in plain text, but the information that may have been compromised could allow simpler passwords to be brute-forced. We are currently locking down all production until we can guarantee the safety of all team members and players, and our forum will be offline until we're certain that we're secure. We will require a mandatory password reset on LoE itself for all account holders, but we still strongly urge you all to change your passwords on other services if they're the same as your LoE password. We can only apologise for this, and continue working until we can guarantee everyone's safety once more. "We're still looking into how this attack happened (and how to prevent it, or anything similar, happening again, obviously!). Once we're happy with the security in place for both our team and players, we'll get everything running again, and make a public statement about the entire situation - and I'll make sure it contains as much detail as we can reasonably include, to ensure that everyone knows exactly what went wrong, and how we're going to deal with it moving forward. Here is hoping the servers come up soon, and that no one in the process was compromised. We will try to keep you informed as the days come by.